One of my best friend way back from elementary school came to Los Angeles a while ago with the husband and her daughter. 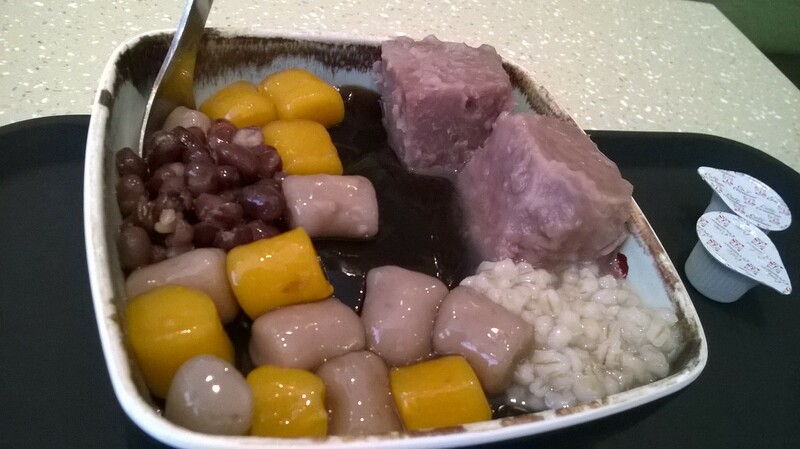 After stuffing ourselves to the maximum at El Rocoto, we headed over to Phoenix Dessert for some delectable Chinese dessert soups, fresh Durian Roll, and Strawberry Mochi. We were already really full by then, but we wanted to catch up some more, and her daughter wanted to try the Matcha Ice Cream Milk at this place called Ten Ren Tea Time. So we decided to take a walk around the large strip mall in order to digest a bit so we could fit more food into our systems. There are a number of Ten Ren throughout the city. 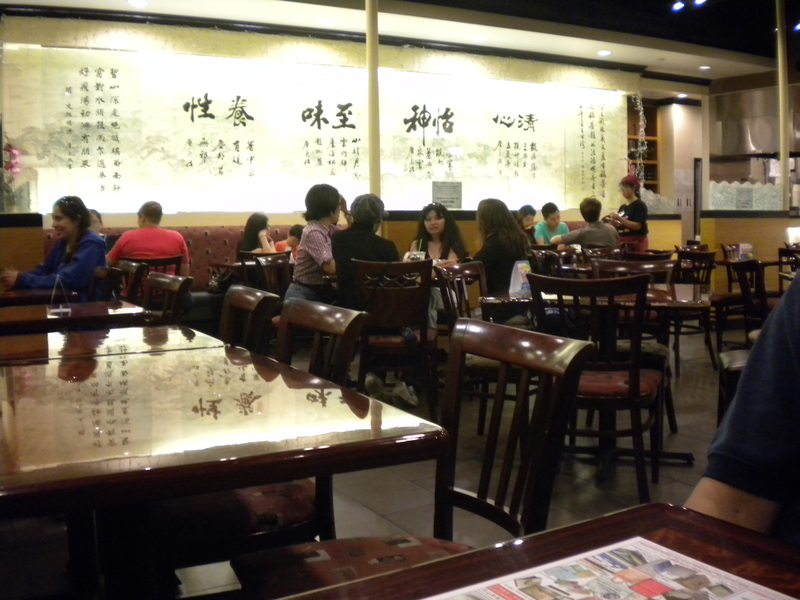 This particular one is one of the larger ones, with a good number of the patrons being students from the nearby college. 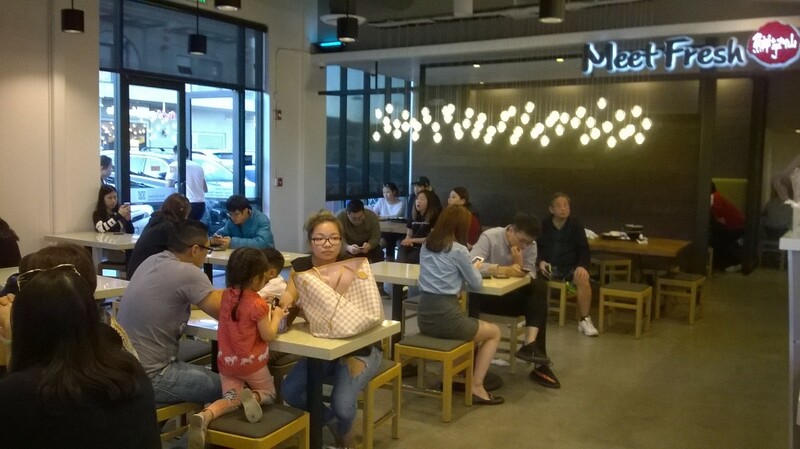 Aside from a large selection of different teas, the menu offers a variety of savory dishes as well as sweet desserts and many choices of drinks. This evening was all about drinks. 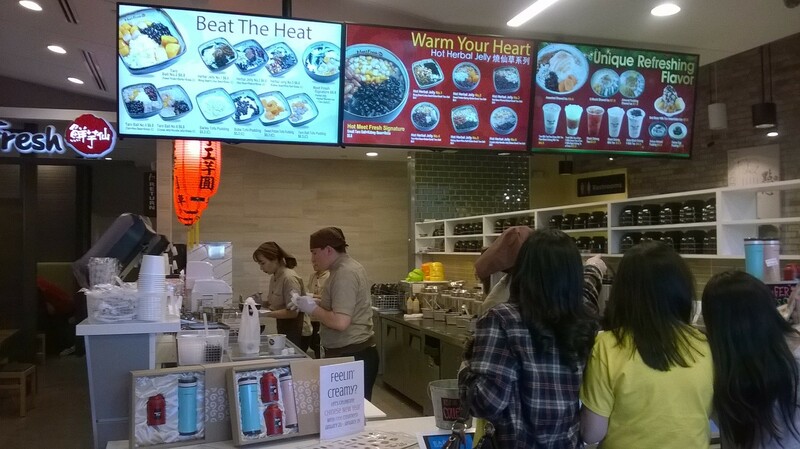 I decided on the Hot Grass Jelly, which consisted of a rather large round container of mildly sweetened thick black grass jelly with some red beans and boba(tapioca balls) inside. 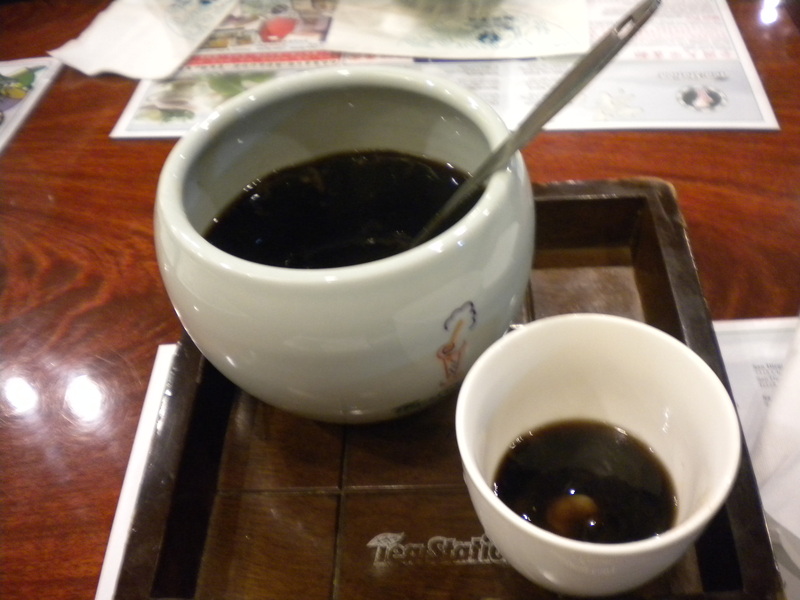 Grass jelly is thought to have cooling properties, and is usually consumed in hot weather. 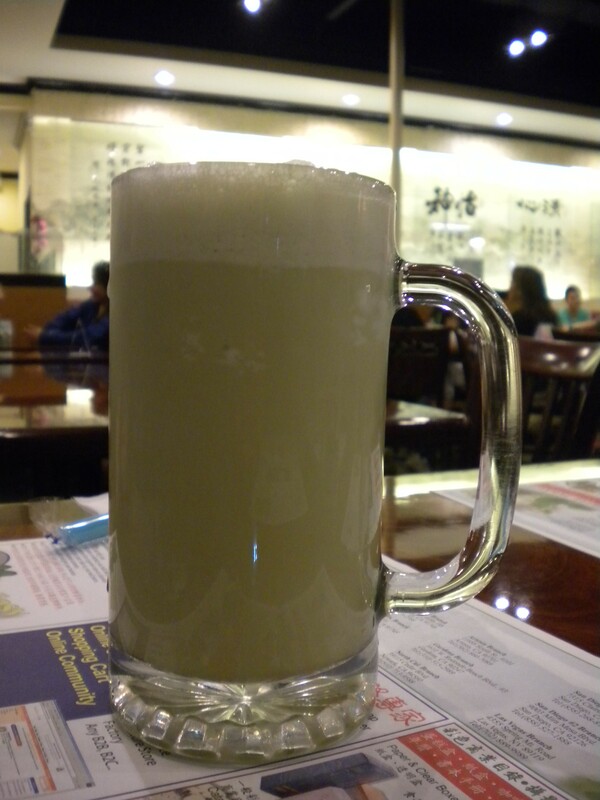 My friend’s daughter had her Matcha Ice Cream Milk, which looked thick and foamy. She commented that it tasted pretty good, and not too sweet. 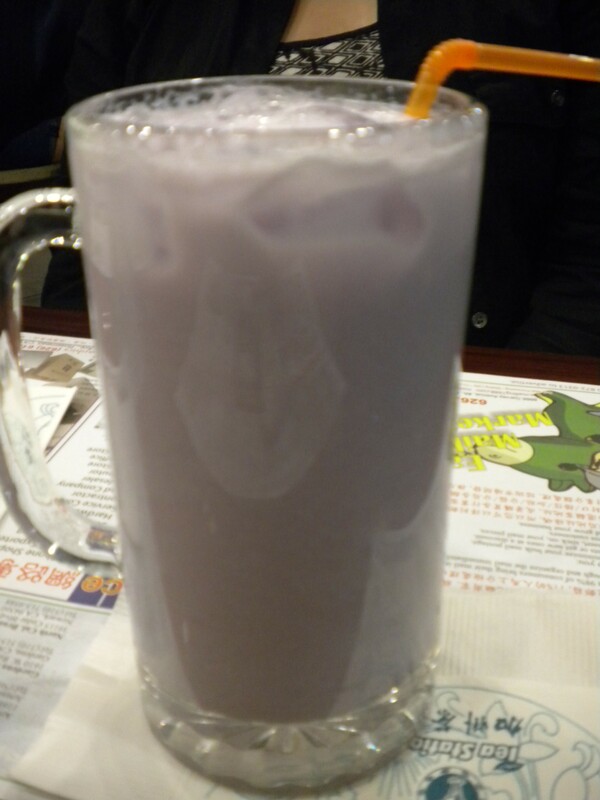 The Taro Milk Drink, a light purplish thick concoction that my friend decided on was rather delicious according to her. 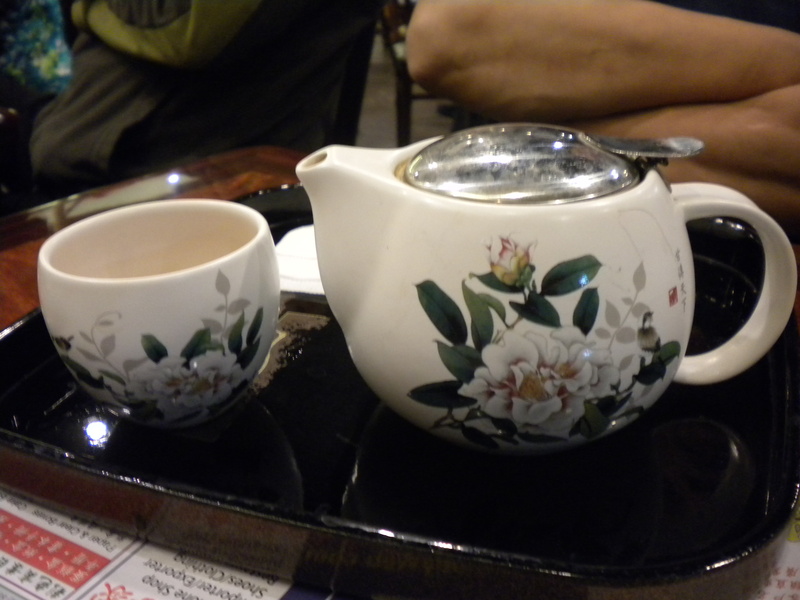 Her husband was absolutely stuffed, so he ordered the Pu-erh Hot Tea to aid him in digestion. We had a wonderful time enjoying each others’ companies, chatting about old times, about food, while leisurely savoring our flavorful drinks.